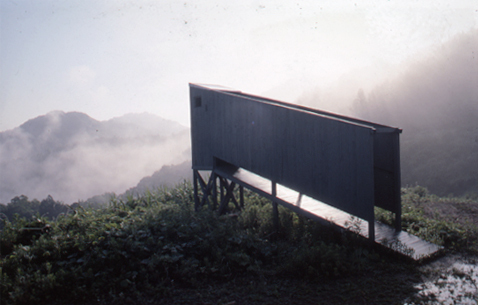 In his Prospect Cottage for Painting series, which is a visual-experience device that cuts out landscapes using a variety of formatted windows, Motai has developed a series of site-specific works, the first one created in 1999. 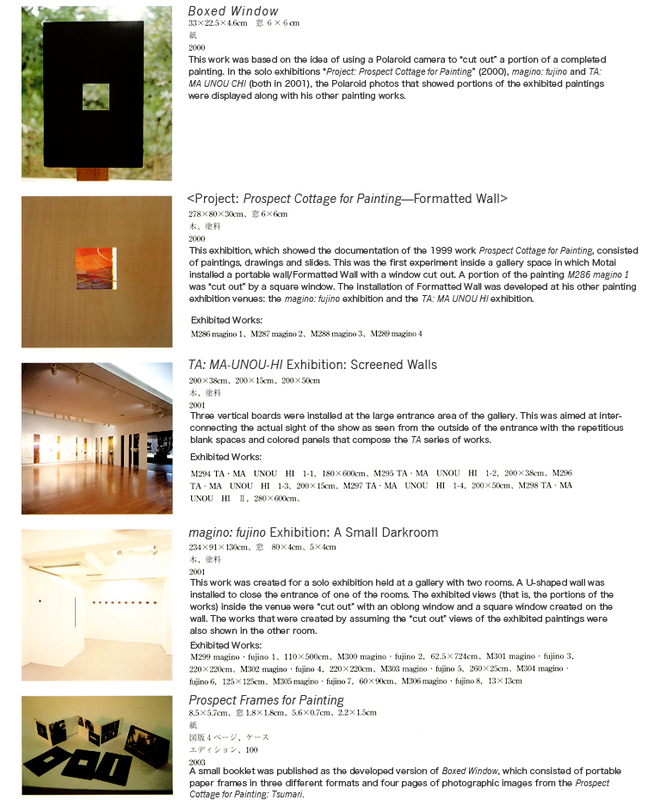 This series has also been developed through its continuous interplay with the TA painting series. 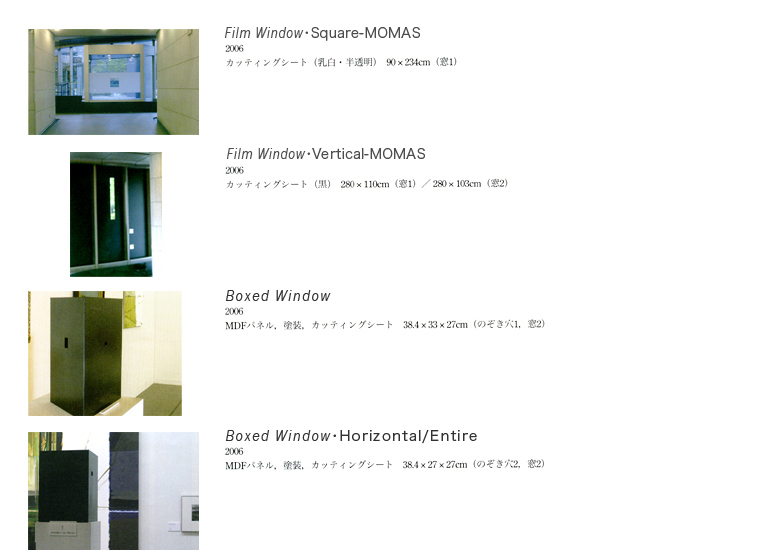 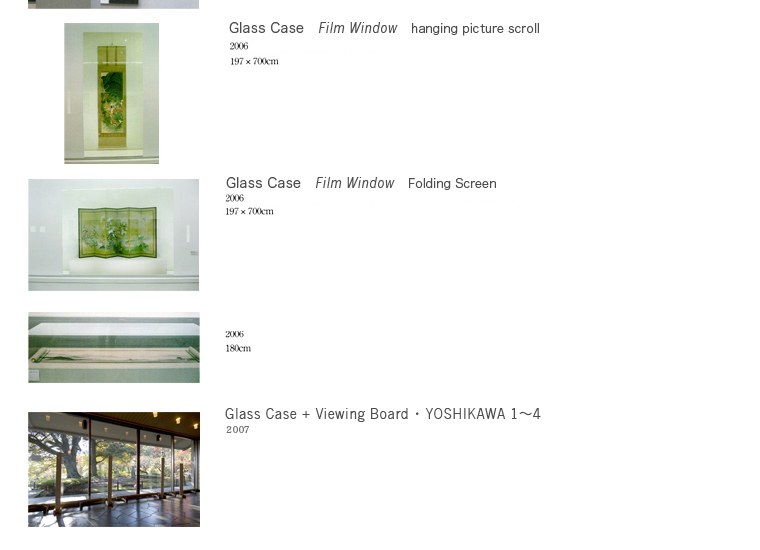 The works related to this series include Boxed Window and Film Window, in that they utilize windows. 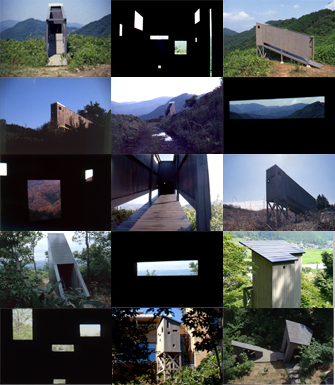 Concrete foundation, wood, paint, 345×216×176cm（Four windows）225×200×108cm（Six windows） A two-building type with a Japanese circuit-style garden.